Most people like to think that their opinions and beliefs are based on facts and solid reasoning. But in one area many people make an exception - they consider it quite proper to believe and act without such a rational empirical basis when it comes to religion. For beliefs about a deity, faith is generally claimed to be superior to reason, at least by "believers." Here we will examine another area in which some people put faith above reason: politics. Most people today hold beliefs and opinions about government (the state) which are faith-based, and quite analogous to religious dogma. According to the Merriam-Webster dictionary, a freethinker is "one who forms opinions on the basis of reason independently of authority." While this is the general definition of "freethinking," some would restrict it to opinions about religion only. We use the more general definition here, unless otherwise stated, and take freethinking to refer to all opinions and beliefs, from beliefs about fairies and leprechauns, to homeopathy and creationism and alien abduction and religion. Historically, freethinking has been critical of both God and State. A 19th century French slogan "No Gods, No Masters" expressed the sentiment that man's mind should not be subordinated to any authority, supernatural or natural. Even earlier, seminal freethinker Denis Diderot wrote, "Man will never be free until the last king is strangled with the entrails of the last priest." Similarly, other notable freethinkers opposed both church and state power, such as Voltaire ("ecrasez l'infame") and Tom Paine (who wrote against both "kingcraft" and "priestcraft.") Traditionally, freethinkers had a clear libertarian streak. Conversely, most classical anarchist luminaries railed against theism. Michael Bakunin turned Voltaire's famous aphorism around, writing, "If God really existed, he would have to be abolished." Johann Most, a famous German anarchist, wrote a virulent pamphlet called "The God Plague." Emma Goldman denounced "Religion, the dominion of the human mind ... and Government, the dominion of human conduct." Many periodicals in 19th century America combined denial of state authority (philosophical anarchism) and the denial of religious authority. Freethinkers (in the narrow sense) and anarchists were allied - both were freethinkers in the broad sense. Logically, it is easy to see why. If one rejects all "tyranny over the mind of man," as Jefferson put it, it follows that one rejects both supernatural and secular authority. If one is to make up ones own mind, and do so with rationality, then both secular and religious dogma must be questioned. Today, it seems that most self-labeled freethinkers have more or less limited their rejection of authority to religious issues, and allowed dogma concerning the state to thrive. And yet, given the parallel between many secular and religious beliefs, one would think that modern freethinkers would easily see through common statist claims and superstitions. Here is a short list of dogma shared by theism and statism. Thou shall have no God/State before me. Like God, the state is a jealous state. The statist paradigm proclaims that everyone owes obedience to their "home" state. If you don't obey, you're a traitor/heretic. God/State is the source of morality/legality. Just as theists commonly claim that you should obey God's laws, and that morality springs from God, statists claim that you should obey the state's laws, and that morality springs from the state. God/State is my salvation/solution to all problems. Theists pray to the Lord to solve their problems, and God is omnipotent and able to solve them. Likewise, statists seem to believe that the state can solve all, or at the very least is the obvious and generally successful solution. Use any means necessary to create the (kingdom of God/perfect society) on earth. Theists, for the most part, have grown out of this belief and stopped burning heretics and witches. Statists still believe in robbing others ("taxation") for the holy ghost ("public good"), and conscripting, "interning," and torturing as necessary. All are God's/State's children - consent is not required. Just as theists give lip service to free will, yet subject non-believers to God's law, statists give lip service to consent, yet subject non-believers to taxation, regulation, imprisonment for non-aggressive conduct, and so on. The liberal statist dogma of "forced consent" - that people consent to the state whether they agree or not - is loosely analogous to the theist teleological argument for the existence of God. Just as theists claim that order in the universe implies a designer, statists claim that living one's life in a spacial area implies consent to obey. Logically, of course, neither follows. 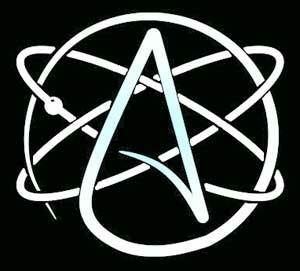 Since freethinkers reject all authority, both spiritual and temporal, one could almost say this: Freethinking applied to god(s) and religion implies atheism, while freethinking applied to rulers and the state implies anarchism. But while this may be true for most people, it is possible for someone to be a freethinking theist or a freethinking archist. A freethinker may, applying all his rationality, think that argument X for obedience to God holds, or argument Y for obedience to State holds. Thus, there are four possibilities. To summarize: The logic of rational empiricism - freethinking in the general sense - would seem to lead to atheism and anarchism if taken to their logical conclusion. As Voltairine de Cleyre put it, "Anarchy ... is the only logical outcome of freethought - the ripened fruit of which freethinking is the potent seed." Thus, it is rather surprising that most people who consider themselves "freethinkers" today are quite statist, rather than libertarian or anarchist. There is apparently some mental compartmentalizing going on; these modern "freethinkers" are able to rationally question religious dogma, but are unable or unwilling to question analogous statist dogma. Basically, they have replaced the irrational belief in gods, so dangerous in earlier eras, with an irrational belief in states. From a theist's perspective, statism puts the state in god's place - the modern form of idolatry is statolatry.